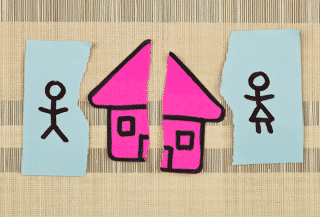 Divorce is not an easy process especially when it comes to splitting assets, but there are ways to make the process go quickly and smoothly. When splitting assets between spouses, both parties may not be satisfied with how their assets were split. Normally couples run into issues when it comes to having to divide their house, automobiles, securities, retirement benefits, and even some household items. But it is important to remember that before a divorce is able to be approved, all of the assets must be split up in a manner that both people are satisfied with. If in the end, you were the primary breadwinner of your marriage with your ex-spouse, it is equally important to keep the peace and be respectful. If the two parties can, it would be very beneficial, financially and mentally, to be able to work together and create a list of all of their assets. Doing so will get rid of the expensive and long ongoing process of the court determining the way the assets are going to be divided. Typically, if children are a factor, the judge will grant the house to whichever parent has primary custody of them, but not always. New York is an equitable distribution state, which means that the judge divides the assets in a way that is fair to both people involved. When doing so, the courts will take into consideration the length of the marriage, both parties’ work histories, individual earning capacities, and the mental and physical health of both parties. It is extremely important as well to make sure to stay honest during the divorce, don’t keep secrets especially when it comes to money you may have in a personal account, because not only can that get you into legal trouble, but it will make the process much more stressful. By handling the divorce with dignity and grace, it will foster a mutually beneficial settlement. If your spouse was dependent on your income throughout the marriage, there is a higher likelihood you may be required to pay alimony or share your earned assets. Although your Long Island divorce attorney will be able to negotiate a fair settlement for you, having a positive attitude will make the process easier on you emotionally. Remember, divorce is a fresh start. Valuing the opportunity to start anew is priceless.